This "must see", impeccably well maintained town home in a highly desirable location is convenient to HWY 77, Lake Norman, shopping, restaurants and golf course. 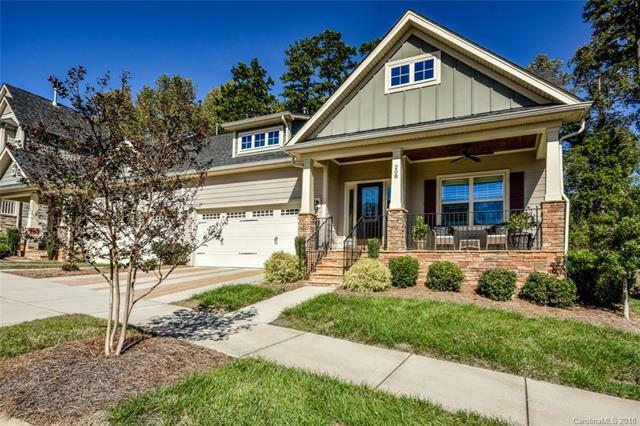 Wide open floor plan, perfect for entertaining, master suite on the main level and a large covered front porch. Private back yard with park like setting, privacy fenced paver patio, natural gas grill hookups (great for outdoor cooking/living) ornamental fenced backyard and lawn irrigation. Loaded with upgrades: granite countertops, hardwood flooring, master bath tile shower w/dual controls, M/B has full closet system, heated master bath floor, crown molding throughout, central vacuum system, built-in bookcases, vented gas log fireplace, plantation shutters, security system, upgraded appliances, bonus room sound system, finished garage, crawl space with dehumidifier and lighting. Lawn Maintenance is included in monthly HOA dues Club house & walking trails. This is a must see and shows like a new home. Sold by Traci Tyson & Associates Real Estate Llc.